Across the country, the rights of women have been severely compromised due to the calculated and misogynistic tactics of the Trump administration. Reproductive justice has been the cornerstone of NOW’s activism for over 50 years and still today, extremist politicians continue to use underhanded tactics to limit access to affordable reproductive health care for millions of women. The nomination of Judge Brett Kavanaugh is a threat to women and to women’s choices. He has a proven record of blocking access to abortions, undermining the ACA, ruling against environmental protections, is hostile to workers’ rights and so much more. 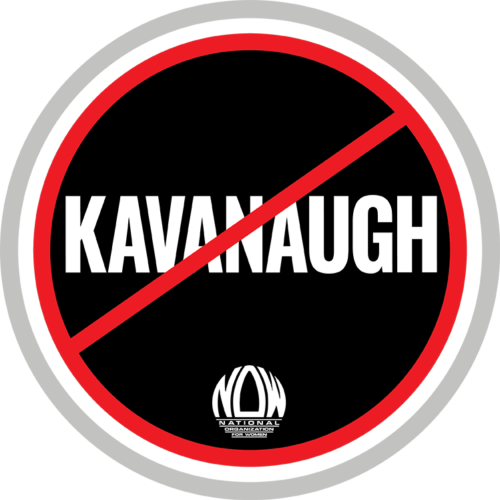 Save Roe: Block Brett Kavanaugh’s Nomination! Use and share NOW’s customized Social Media Toolkit to STOP Kavanaugh’s nomination to SCOTUS with your chapters!